The objective of this thesis is to provide a decision tool to evaluate the daylighting potential of a space considering also its thermal component in order to balance the presence of daylight illuminances and solar heat gains to provide enough daylight for visual tasks avoiding situations of discomfort, such as glare or overheating. This research is based on the evidence that the amount of daylight that enters into space has, at the same time, luminous (solar radiation in the visible spectrum) and thermal effects (solar radiation in the infrared spectrum). Nevertheless, both aspects are studied nowadays separately, so this research proposes an integrated study. 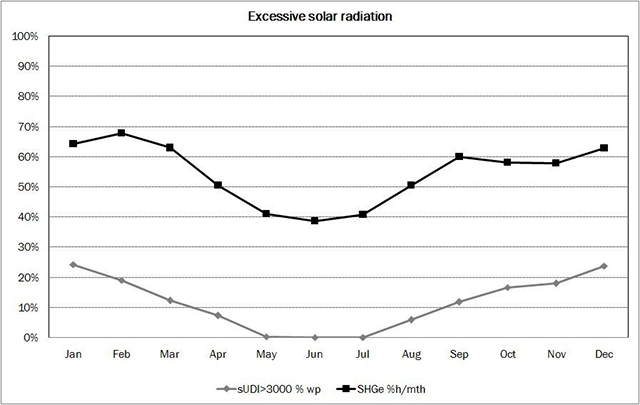 In addition, the Climate-based Daylight Modelling allows to obtain illuminance values with the same time-step resolution and climatic dependence that the values of solar heat gains obtained by means of thermal simulation. Once the differences in the calculation methods of the daylighting and insolation metrics are highlighted, this thesis establishes a common calculation frame which allows to obtain the illuminances that simultaneously are reached in the work plane and compare them with the solar heat gains in the space. 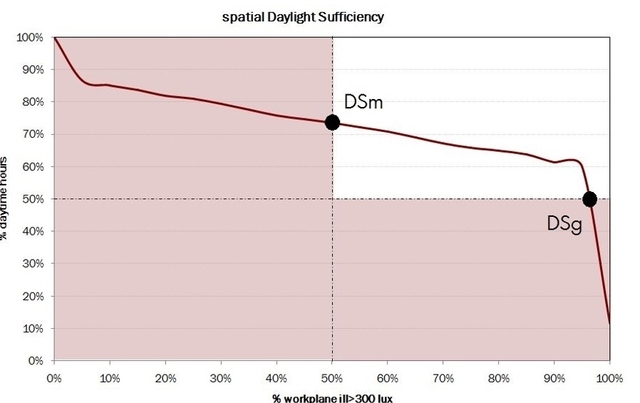 In order to evaluate the daylighting potential of a space and limit the solar heat gains that provoke discomfort, 5 metrics have been defined on the basis of the Daylight Sufficiency criterion (300 lux, 50 % time, 50 % workplane), the illuminance ranges recommended for the development of visual tasks and the irradiance upon which user close blinds due to glare or overheating. 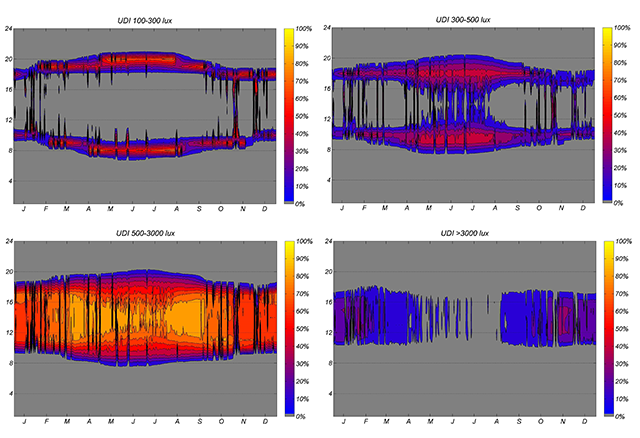 In addition, by means of a parametric analysis, this research applies the methodology developed to analyse the influence of different architectural design parameters in the daylighting and insolation potential. 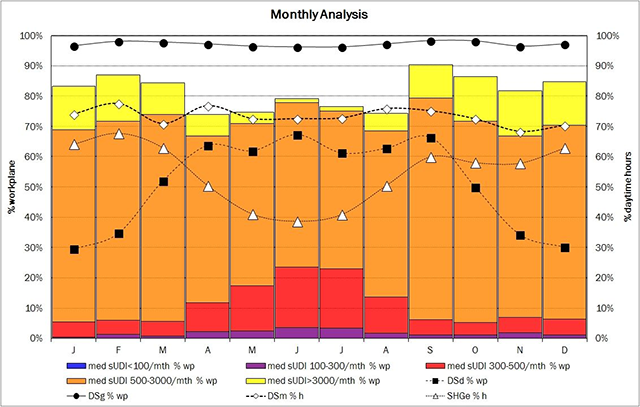 The results have allowed to obtain the behaviour or trend of each one of the parameters, the capacity of every parameter to modify each of the metrics and a certain classification of the influence of these parameters on daylighting and insolation. These results allow to establish design recommendations and to prioritize those parameters of architectural design that must be considered in order to provide a daylighting that balances daylight illuminances for visual task and avoids excessive illuminances and/or solar heat gains that produce glare and/or overheating. 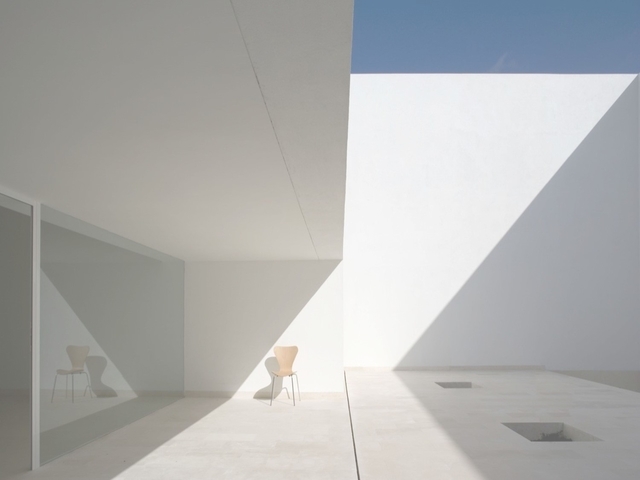 This approach, therefore, supposes a first step in combining daylighting potential of a space and its correlated heat gains.